God looked down on his planned paradise and said, “I need a caretaker” – so God made a Farmer. Ernest J. (“Ern”) Merwin (11/3/1944), loving husband of 50 years to Becky, father to James (Liz), grandfather to Bennett and Margo, and brother to Mary Kaye passed away peacefully on Tuesday, April 9, 2019 to join his son George (“GW”) and other loved ones who proceeded him. Ernie lived his entire life on Merwin Farms, in the home his grandfather Ernest built. Committed to his community, Ernie was a retired charter member of the Big Foot Lions Club, a long time club leader of the Linn 4-H and well known by many for his active involvement at the Walworth Country Fair and Immanuel UCC in Walworth. 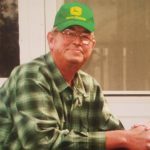 An avid hunter and proud farmer, Ernie believed “Nothing runs like a Deere” and worked tirelessly to provide for his family. God looked down on the Farmer and saw he was tired. Ern now rests in Peace. Celebration of Life Service: Monday, April 15, 2019, 10 a.m. at Immanuel UCC. 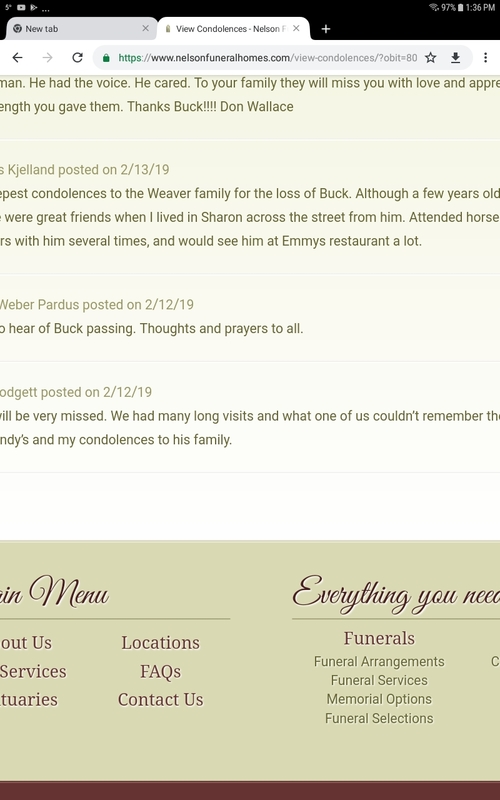 In lieu of flowers, memorials may be sent to the Walworth County Fair Foundation or Immanuel UCC Church, Walworth. My condolences to a great man and a great family. The Big Ern!!!! Ya did it right. My condolences to James and Mrs. Becky Merwin. My thoughts are with the Merwin family, Ernie was a life long friend. Blessings to you and your family, Becky. Vinnie & I enjoyed both of your friendships. working the land, providing food for the world was your calling in life. Farming was in your blood. Honesty and hard work to the very end were your trade marks. We all shall miss you and hope we can in one way or the other carry on your legacy. Rest in peace, my final good buy as a friend who was privileged to get to know you. I have great memories of the many kindnesses the Merwin family showed the visiting Korber children long ago. May your memories bring you comfort! We are so sorry to hear about your loved one passing. We remember many times in dealing with Ernie how kind of him to helped us. May God bless him in heaven now, Our deepest condolences to the family of Ernie Merwin. Sorry to hear of Ernie’s passing. I have many great memories of our years at Big Foot High. Prayers to you and your family. So sorry to hear of Ernie’s passing. I have many great memories of our years at BFHS. Prayers to you and your family. Becky and family, Barbara and I are so sorry for your loss. The Merwin Farms are an icon in Linn Township and your name is well respected throughout the area. You and Ernie saw the highest of the highs and the lowest of the lows in your 50 years but you two always did it together and you always had the strength to travel on because of your deep love, not only for one another, but for everyone you met. Our sympathy goes out to you,sincerely Tom And Barb Kwiatkowski.